It's a so cool Theme! I liked it very much. However, I want the window menu and even the application icon. Please see the image. http://blog-imgs-37-origin.fc2.com/u/b/u/ubuntuapps/100527_Ambiance-Right_3.png This location is right of the maximize button. Is it possible? Please please make it. Hey Tom, I’ll see if I can figure that out sometime this weekend. Hey Tom, here's a version that displays the app icon and aligns the buttons to the right. Thank you.and I'm sorry.My English was so wrong. I just wanted to add a App icon. Close,maximize,minimize buttons and the app icon on the left (default) side. I've let the extra work to you.Sorry. I solved by using the Ubuntu tweak. very very sory. and Thank you so much. I'm rooting for you. I've just added another version that doesn’t have the line seperating the title bar from the file menu. This one is a little more like Ambianced Refined II. Hey Sda123, I manually edited the original theme. But i'm gonna check out this weebly now though. Is there anyplace to download the original ambiance II theme? Sorry it was called "Ambiance Refined II". Hey Skip, here is a link to the Ambiance Refined II theme. This theme looks pretty dope in linux mint. Im so glad because the whiteness in the default was starting to annoy me. Thanks for your themes. I'm loving Ambiance Refined III Right. But is there a way to replace the Ubuntu icon in the top panel with one that is in color? Everything else, I'd like to stay as is, I really like the other Ambiance icons in the panel. But I miss the red/yellow/orange. Hey jseger9000, the easiest way to do it would be to install ubuntu tweak. There is an option in there to change that exact icon. Hey William, thanks for the response. 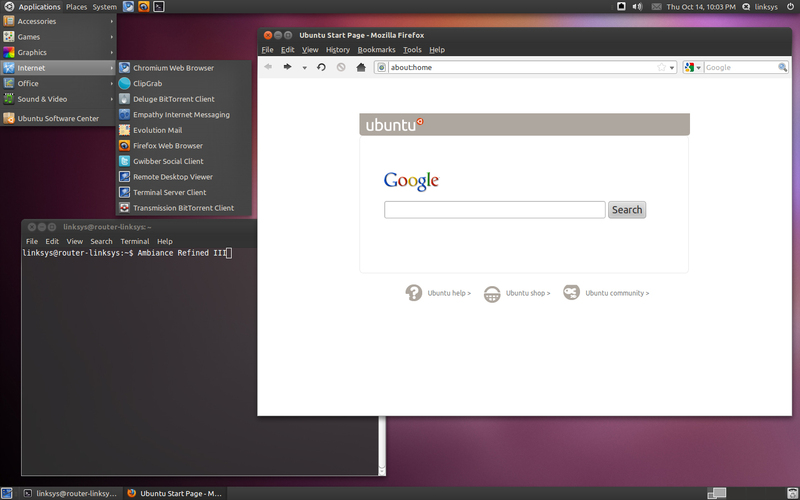 I already had Ubuntu Tweak, but didn't realize I could do that. Now I have Ambiance looking just the way I like it! Looks nice. Will this work in xfce? Do I need anything special to make the tray icons monochrome like in the screenshot? I'm going crazy about that, tried mono dark icons and nothing happened. Could you update the theme to gnome 3.4 as it doesn't work properly in ubuntu 12.04. Hey Spectre, I'll take a look at it and see what I can do.